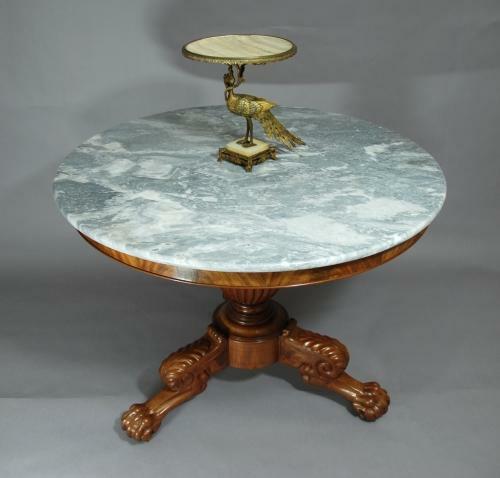 A mid 19thc French mahogany grey marble top centre table. This table has a solid mahogany base with a flame mahogany veneered frieze, a turned vase-shaped central column supported by a three-splay animal form leg, leading to a paw foot. This table would be ideal in an entrance hall or in any living area.